Tubular mesh resistant to atmospheric agents, it prevents leaves from blocking the gutters. It is modular and does not need to be fastened: if it is moved by the wind or birds, the tube will rotate without coming out of the gutter. Sticks and leaves will be pushed away by the mesh and will blow away with the wind, thus ensuring a perfect drainage of rainwater. The Tenax LEVEX TUBE gutter mesh is provided in the convenient format 1 m long, and it is light and handy for a quick and easy DIY installation. The tubular mesh is cut longitudinally, so it easily adapts to diameters between 12 and 15 cm. It does not require maintenance for many years: good savings in terms of time, efforts and money. The pack contains 5 pieces which can be easily combined. Gutter maintenance must be performed because it is very useful to avoid following problems which could also be very expensive. You must avoid that material lays down because, when decomposing, it can create acidic solutions that are extremely harmful for gutters. Indeed, they can pierce the gutters and cause water infiltration which can seriously damage cornices and façades in the long term. 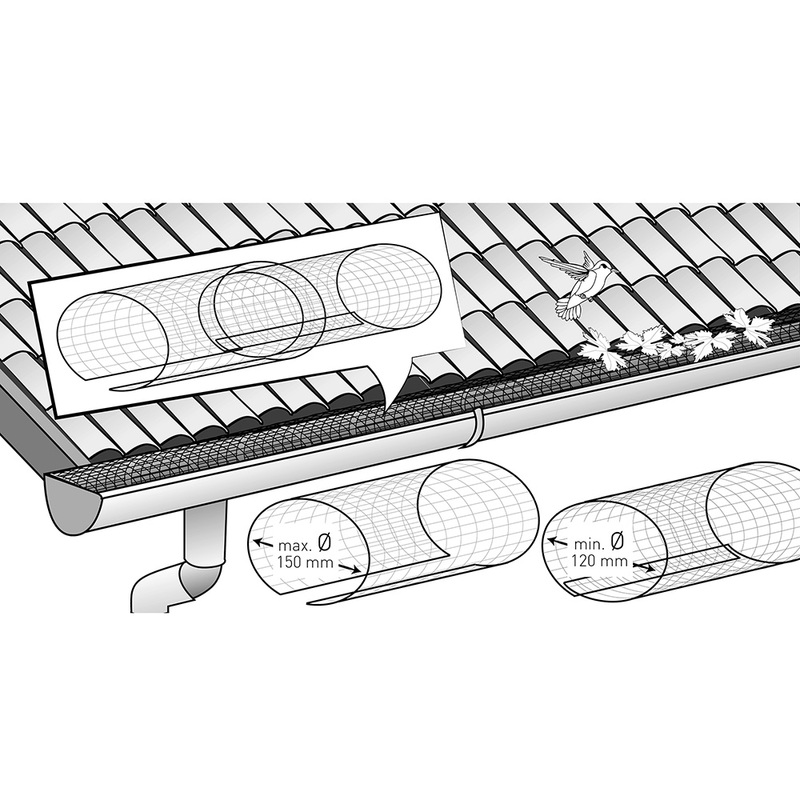 It is useful to protect gutters with filters or appropriate meshes to avoid deposits. And the perfect solution is undoubtedly Tenax LEVEX TUBE. The Tenax LEVEX TUBE tubular mesh for gutters is provided in the convenient format 1 m long, and it is light and handy for a quick and easy DIY installation. The tubular mesh is cut longitudinally, so it easily adapts to diameters between 120 and 150 mm. In order to avoid the expensive services of professionals, it is advisable to act autonomously and choose a DIY solution to clean gutters. Paying attention, climb a ladder and clean the gutter removing all the debris. Use gloves, a small brush or a small metal rake. Wear work gloves and remove all the leaves near the gutter. Drainpipes get blocked very easily. We advise to clean them inside using a broomstick. Wrap a cloth around one edge of the broomstick and eliminate all the blockages. After cleaning the gutter completely, it is fundamental to put the Tenax LEVEX TUBE tubular mesh for gutters, which prevents leaves or other debris from laying down. 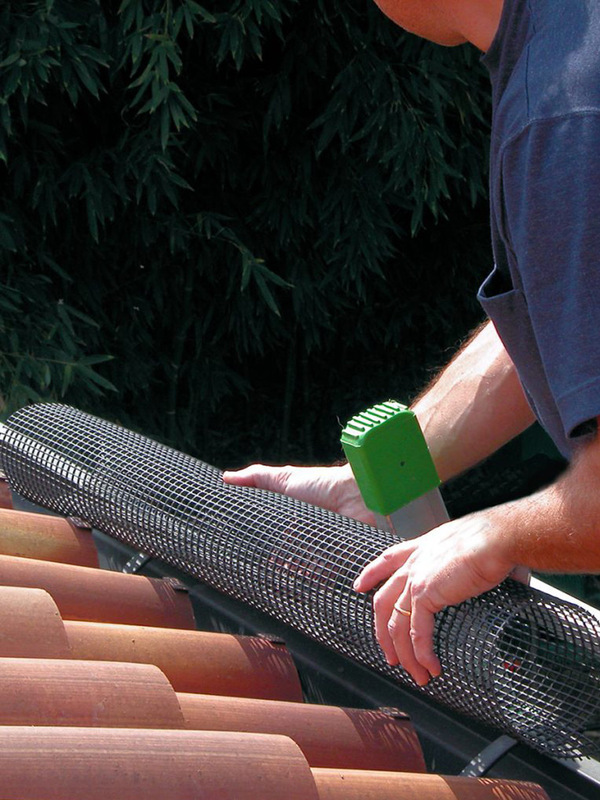 To install LEVEX TUBE, press the mesh to reduce its diameter and place it inside the gutter. Loosen your grip and the diameter will expand again, wedging the tubular mesh in the gutter. To join different tubular meshes, put the first one into the second one: the diameters will adapt to each other. For further fastening, use the Tenax FIX-TIE black ties.